"Lil" or "Babes" to her childhood family and friends, was born in Hoboken NJ. When she was 2 years old her family moved to Metuchen NJ. where she grew up and made life-long friends. She was the third and youngest child of Lillian (Randall) and Carleton E. Brune. Her sister, Carlotta, was the eldest sibling and her brother, Randall, was her next older sibling. 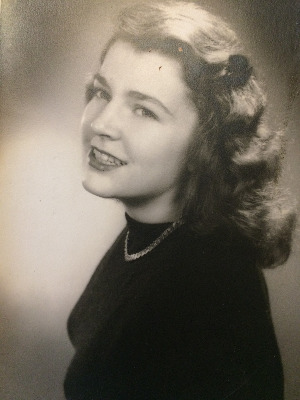 She attended Metuchen High School and graduated in 1950. She was the lead on the drum majorette team and twirled her baton and lead the marching band in many parades during her high school years. Dianne attended the University of Vermont. When one of her friends there was unable to fulfill an obligation to be a camp counselor at a summer camp in the Berkshire hills, Dianne took the position and met her future husband there, Sam Pierce. They were married in 1952. 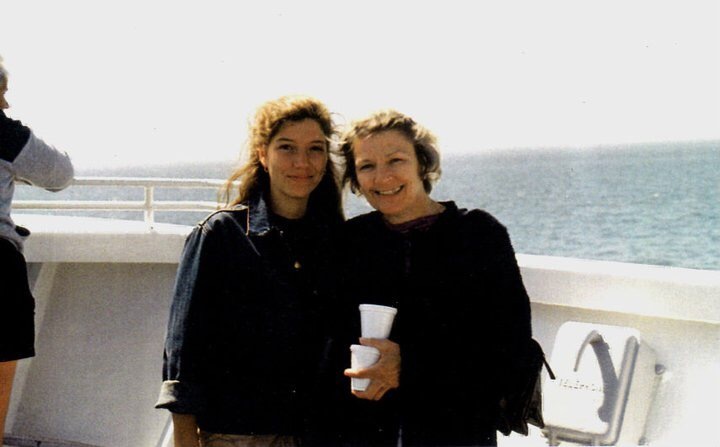 While Sam was in Korea, during the Korean War, Dianne stayed with Emily Pierce, her new mother-in-law, in Hinsdale, MA. During this period Dianne became an integral member of the Pierce family. Sam and Dan (Dianne became 'Dan' when one of her nieces couldn't pronounce Dianne) raised 4 children, Emily-Robin, Priscilla aka Cil (Jim Rymsza), Martha aka Rhiana (Neal Pearson), and Eric. Dianne has 1 grandson, Brett Rymsza. Sam's career brought the family to Pennsylvania, outside of Philadelphia. Dianne provided a nourishing and nurturing home (full of antiques she loved to collect) for her children and husband. While maintaining her household, Dan enjoyed gardening her large yard. She passed on her legacy of and passion for gardening from her father to her daughters! Dianne is survived by all her children and her grandson. Dianne overcame several difficult hurdles in her lifetime. One difficult period came after 23 years of marriage when she and Sam separated and ultimately divorced. With support of close friends and family, Dianne started a career in nursing after attending college and becoming a licensed practical nurse. She retired from nursing after 20 years in 1997. In her retirement she continued to volunteer at a local hospital and maintained strong friendships she had developed during her career. In 2008, she joined her children who had all established their lives in the Pacific Northwest; and she moved to Klamath Falls, OR. She lived in Oregon for 10 years, growing more friendships, closer with her children, and gardening in her new wonderful gardens. Wherever she lived, Dianne was involved with her church. In 2013 Dianne was diagnosed with Dementia of the Alzheimer's type. As in her earlier life, when challenges presented themselves, she worked hard to overcome them. With the support of her children and friends, she fought the effects of the disease. She was diligent about keeping her mind active and vital, reading, attending exercise classes and staying active socially. In the end her body failed her before her mind could. Two occurrences of pneumonia in the past year eventually took her life. She will be remembered for her wit, cleverness and fun spirit. We miss her! Services will be held in Seattle, at Wedgwood Presbyterian Church, 8008 35th Ave NE, (98115) Feb 16th, 3pm - 5pm, and in Sprague River, Oregon March 16th at the Sprague River Community Center, 3:00-5:00pm. There will be an east coast celebration of Dan's life at the Pierce Family Reunion, in the Berkshires, Friday evening of the Pierce Family Reunion, June 21st, 5pm on. Location TBD. Contact the family at cillpierce@gmail.com for details. What a beautiful summary of her life. I learned more about her than I knew before. I know she will be missed but it's a blessing to leave the "weakness of the flesh" behind and receive eternal life where all is made right. We celebrate her and know your family did such an awesome job loving her well. What a beautiful tribute to a wonderful person, thank you.